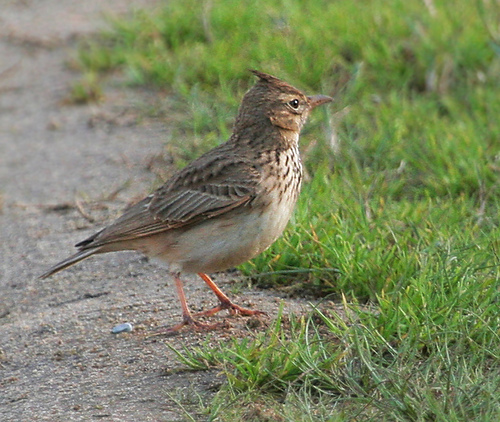 The Crested Lark has decreased rapidly in recent years. Too bad, because it's a beautiful lark which, as the name suggests, has a large crest on its head. 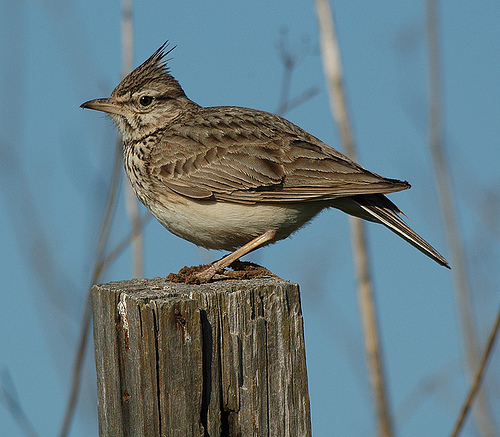 The Crested Lark has a large crest. The beak of a Crested Lark is longer than the beak of the Skylark.